When should I start prenatal medical care? It is important to start prenatal care as soon as possible, so that you can begin incorporating good nutrition, and adequate physical activity during your pregnancy. Health Services does not provide obstetrical (pregnancy) care, but your medical provider will be glad to give you a referral for an obstetrician or nurse-midwife in the community. Does my health insurance cover prenatal care? If you have the University-sponsored health insurance plan, you do not have to get a referral from Health Services in order to have the insurance cover your obstetrical care. Obstetrical care is covered the same way as any other medical condition. Specific questions about the University-sponsored plan should be directed to the Office of Insurance and Risk at 401.863-1703. If you have another health insurance plan, you should check to determine what coverage you have, what you have to do to get the bills paid, and how to maximize your coverage. If you don't know the name of your health insurance company, you can call Health Services at 401.863-3953 to find out. What steps can I take to ensure a healthy pregnancy? The key to preparing for a healthy birth is take care of your own health. The healthier you are, the healthier your baby will be. Below are suggestions you can use to optimize your health during pregnancy. A healthy diet is vital for a healthy pregnancy. It's the best thing you can do for your baby's mind and body. It will also make you strong and ready for labor, delivery, and breastfeeding. Ask your medical provider about specific nutritional guidelines. Walking and swimming can help strengthen your body for your pregnancy and delivery. Be sure to consult with your medical provider about your exercise plans to be sure you're not overdoing it. Be sure to get enough sleep and avoid as much stress as you can. Avoid alcohol and other drugs. Prescription drugs, alcohol, illegal drugs, caffeine, cigarettes, and even over-the-counter drugs can be harmful to the developing fetus. Check with your medical provider before you take any medications or substances or if you're concerned about something you've already taken during your pregnancy. After a baby is born, you should talk to your medical provider about medications, including birth control options, and their potential impact on breastfeeding. Certain infections such as bacterial vaginosis and sexually transmitted infections can be more harmful during your pregnancy than when you are not pregnant. Be sure to talk with your medical provider if you think you have an infection or if you experience recurrent infections so that you can get treatments that are safe for you and your baby. See your medical provider frequently. It is important to check in with your medical provider regularly. If your medical provider believes you have a "low" risk pregnancy, you can expect to visit them at least once a month for the first 7 months, every 2 or 3 weeks for the 8th month, and weekly during the 9th month until delivery. If you have a "high" risk pregnancy, if this is your first baby, or if you have other health issues that need to be monitored, you can expect to see your medical provider more frequently. Call if you experience any symptoms. It is important to call your medical provider if you have any of these warning signs. Text BABY (or BEBE for Spanish) to 511411 receive three free text messages a week, timed to a due date or a baby's birth date, through pregnancy and up until the baby’s first birthday. The messages address topics such as labor signs and symptoms, prenatal care, urgent alerts, developmental milestones, immunizations, nutrition, birth defect prevention, safe sleep, safety, and more. Text STOP to discontinue messages or HELP for help at any time. 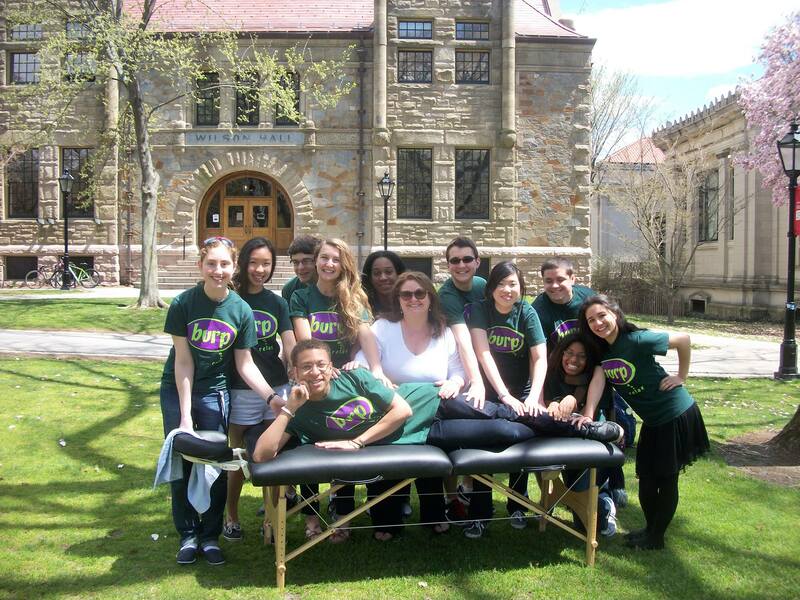 Learn about the Brown University Relaxation Project! All Brown students can use Health Services!